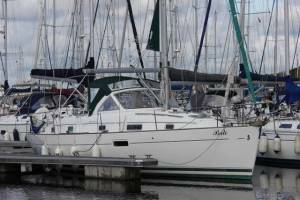 This Beneteau Oceanis 36CC is found in excellent condition throughout as expected of a privately owned yacht. She has had an easy life and this is reflected in the condition of the cabins and upholstery. A top specification includes Sleipner bow thruster, diesel heater (new 2018), black water (holding) tank with deck pump out and furling sails. My client bought her earlier this year, but after a change in circumstances has decided to buy another cruiser racer. Since her purchase he has spent lots of money resolving any issues after her purchase and updating the boat and her systems.